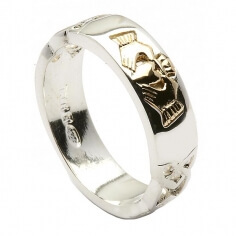 Only the price would tell you that this beautiful Claddagh ring is made from sterling silver and cubic zirconias and not white gold and diamonds. Our craftsmen pay the same attention to detail no matter what the price, so unless you tell, no one would ever know! Your ring will of course be hallmarked by the Dublin Assay Office. Service rating : I made a mistake with my command : I return the ring and they refill me immediatly. 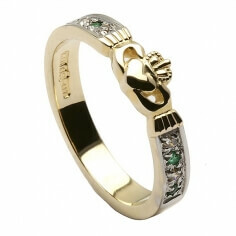 Service rating : This is the first time I have used Celtic Rings and I was delighted with the service. the staff were great and double checked my order before making it. 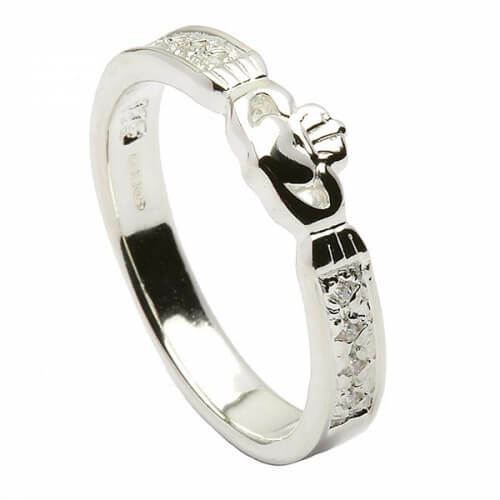 Product : The beauty and quality of the ring is fantastic, the picture online does not do it justice. Its a very pretty ring and a little bit different to ones you would see other jewellery shops, which I love. I will definitely use this company again. Service rating : It's my 2nd time purchasing. Still like the ring design and the service. Product : The quality is as good as before. Service rating : Good customer service! Excellent quality. Product : Excellent quality, arrived quickly. Service rating : I was extremely happy with the customer service received. There was nothing more that Vincent could have done to assist with the purchase. Product : I was extremely happy with the quality and attention to detail of the ring purchased!! Service rating : The service is attentive. I measured the finger size wrong. They sent email to confirm the ring size. It helped to correct the measurement. The ring is pretty and fit my finger well. It is exactly what I expect. Product : The ring is pretty. It is low-key gorgeous. Service rating : Perfect! Just what I wandted! Product : Perfect! Very beautiful, love it!